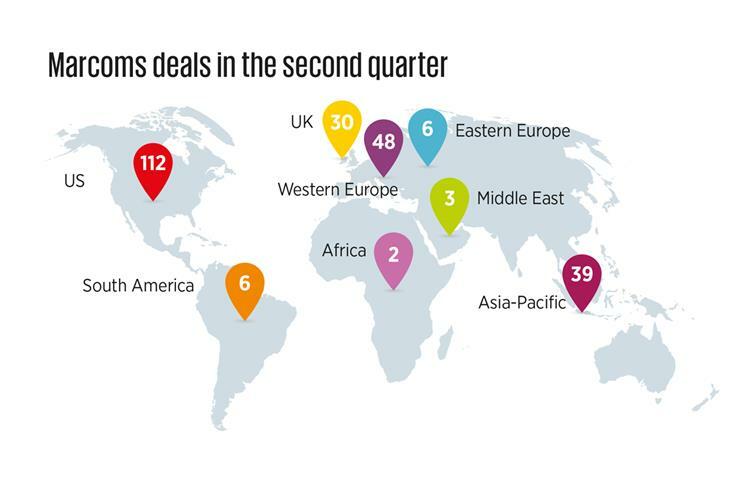 The number of mergers and acquisitions in the global marketing communications space increased by 13 per cent last quarter, led by 12 deals involving WPP. Dentsu Aegis Network was the most prolific buyer over the first six months of the year, striking 19 deals. This represents about 4 per cent of the global market. North America remained the most active region for ad-tech deals, with 51 per cent of the quarter’s total. However, transactions in Asia-Pacific were up by double digits to 16 per cent, while Western Europe’s share rose from 13 per cent to 18 per cent.